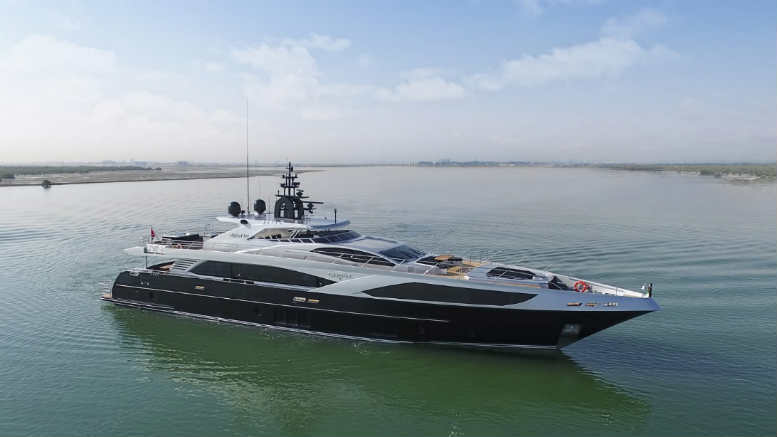 King & Wood Mallesons chartered the imposing Ghost II superyacht at $29,000 per day to shmooze INSOL guests. Hospitality operators who utilise or are located close to Sydney’s greatest natural asset – the harbour – must’ve added some ballast to the balance sheet over the last week as discretionary expenditure spilling from the purses and pockets of the many hundreds of delegates to INSOL 2017 swelled outlays from local accounting and law firms eager to impress foreign colleagues and clients. While SiN doesn’t represent what’s to follow as the exhaustive list, we do have a rundown of some of the more extravagant displays, of which the chartering yesterday by King & Wood Mallesons of 37 metre superyacht Ghost II is perhaps the most overt. Superyacht Ghost II: one of several extravagant venues enjoyed by the INSOL contingent. 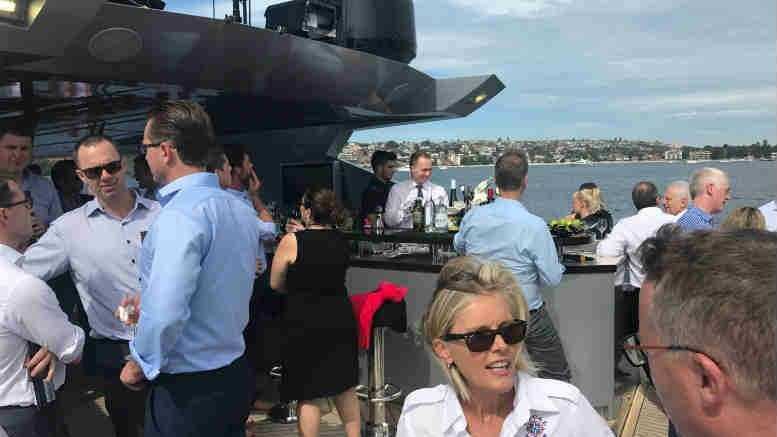 FTI Consulting also took to the harbour, setting up a whisky bar in Pinchgut – or Fort Denison to give its formal name – on Saturday night. Gilbert + Tobin took to the water on Sunday on a vessel we understand carried several hundred. Monday night saw the clouds part conveniently for KPMG, which hosted a lavish diner at the Opera House whilst Henry Davis York and Grant Thornton undertook their entertaining jointly at the Museum of Contemporary Art (MCA), which also hosted Ferrier Hodgson’s soiree. Also partnering were McGrathNicol and Borelli Walsh, which hosted guests at Cafe Del Mar’s rooftop eatery overlooking Cockle Bay while PPB Advisory ventured east to Rose Bay last night to treat clients and colleagues at the admirably located Catalina. Making Ferrier Hodgson extra happy was Maples and Calder, which opted for the Loft Bar on Darling Harbour, apparently the last asset of the Keystone hospitality group to be sold off by receivers Morgan Kelly and Ryan Eagle. Be the first to comment on "INSOL 2017 – harbour hosts its share of socials"